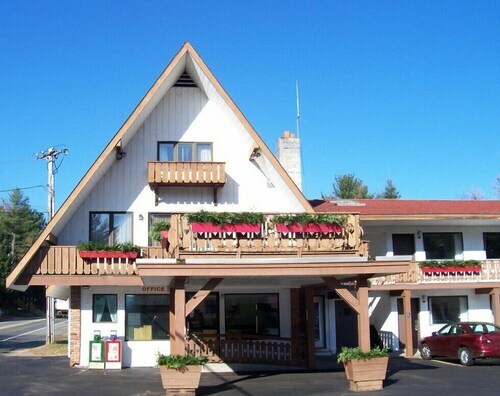 Situated in Lake Placid, this motel is within 1 mi (2 km) of Olympic Jumping Complex and Olympic Center. Mirror Lake is 1.8 mi (2.8 km) away. 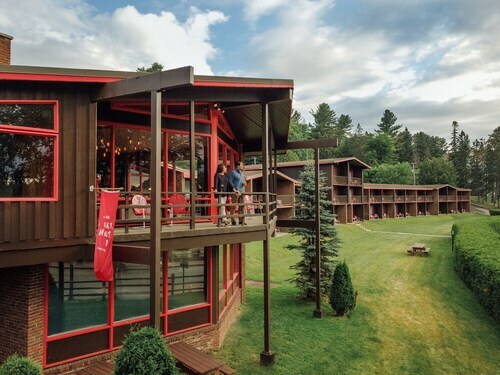 Located near the slopes, this Lake Placid resort is in the mountains, within a 15-minute walk of Lake Placid Winter Olympic Museum and Olympic Center, and close to winter sports such as cross-country skiing and skiing lessons. Mirror Lake and Olympic Jumping Complex are also within 3 mi (5 km). 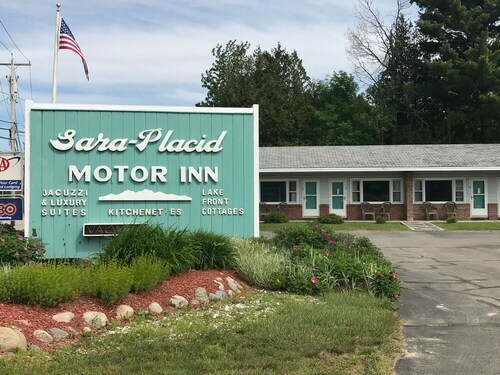 Situated in Lake Placid, this golf motel is within a 15-minute walk of Lake Placid Club Golf Courses and Olympic Center. Mirror Lake is 1.1 mi (1.7 km) away. 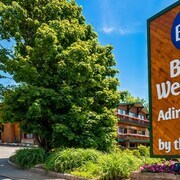 This family-friendly Lake Placid resort is located near the beach, within a 15-minute walk of Boots and Birdies and Lake Placid Center for the Arts. Olympic Center and Mirror Lake are also within 3 mi (5 km). 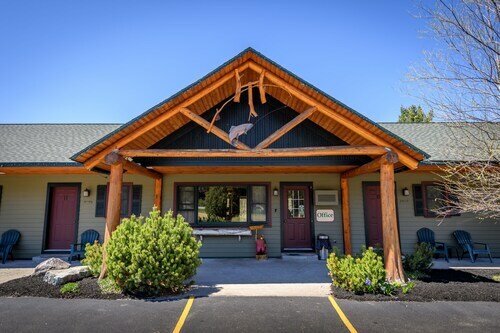 Situated in a state park, this motel is within 2 mi (3 km) of Wilmington Town Beach, Adirondack Wildlife Refuge, and Santa's Workshop. Whiteface Mountain and High Falls Gorge are also within 6 mi (10 km). 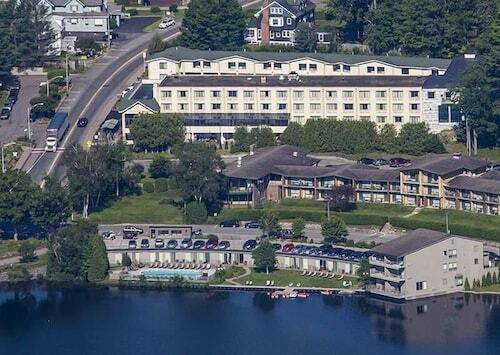 How Much is a Hotel Room in Lake Placid? 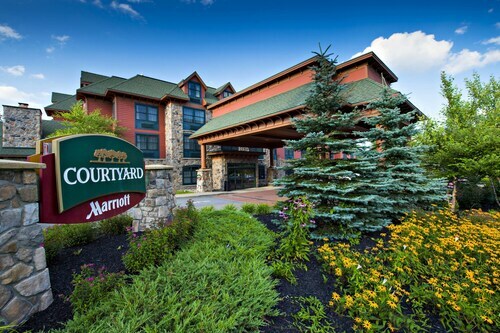 Hotels in Lake Placid start at $72 per night. Prices and availability subject to change. Additional terms may apply. On most days, Lake Placid is just that: a placid environment where tranquility reigns supreme. However, this quiet New York town has lived its fair share of action and excitement as two-time host of the Winter Olympics. During the 1980 Winter Games, Lake Placid witnessed the "Miracle on Ice" when the U.S. Olympic hockey team stunned the world by prevailing over an unbeatable Russia. What was once a summer resort henceforth became known for its winter miracles, and the quaint little town began attracting tourists year-round. 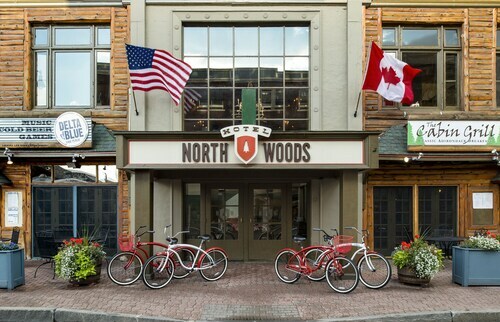 Lake Placid hotels put you in the center of this one-of-a-kind place, ideal for lovers of sport and relaxation alike. Children will love the storybook delights of Santa's Workshop, an amusement park which brings the North Pole to New York. Ski enthusiasts can conquer the mountains that twice brought the Olympic Games to this tiny town. Trails await hikers in the forested hills, and all visitors should complete the 2.7-mile loop around Mirror Lake. You can also hike through stunning High Gorge Falls and, if you're feeling adventurous, summit one of the nearby Adirondack peaks. There's horseback riding and swimming in the summer, and dogsled riding and tobogganing in the winter. You can even visit the 1980 Winter Olympics sites and try your hand at bobsledding year-round! 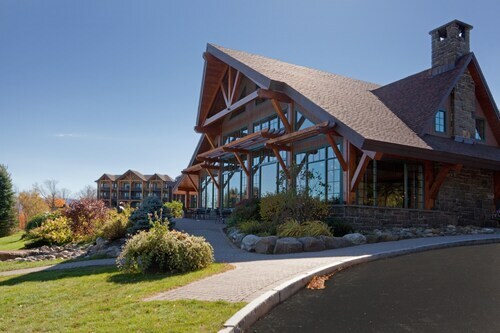 After all this activity, relax your muscles at one of the town's splendid spas, then sit peacefully by the lake in an iconic Adirondack chair. 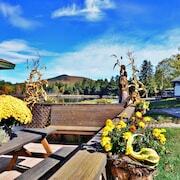 While the food is fantastic, the best places to eat in Lake Placid come with views. 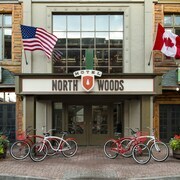 Numerous restaurants line the shores of Mirror Lake, and many of them feature locally sourced ingredients. Taste trout fresh from the stream at dinner, and maple syrup tapped from the trees at breakfast. 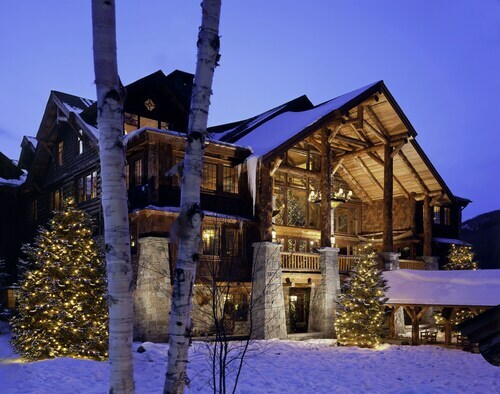 Ready to experience the poles of placid serenity and Olympian grandeur? 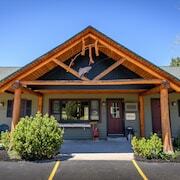 Lake Placid vacation packages are easy to find. 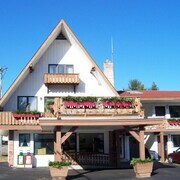 Search for Lake Placid hotel deals and flights to Lake Placid on Travelocity. Get mobile exclusive deals on the Travelocity app. 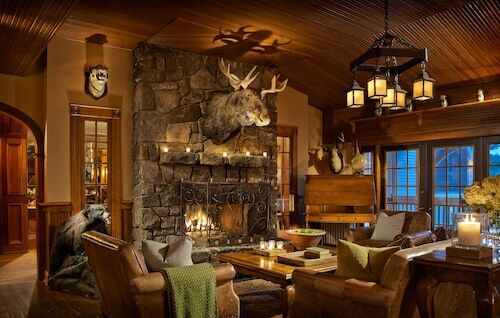 The restaurant with the fireplace and awesome view creates such character. The walk-in shower is a bonus. The atmosphere was quite and we got great rest. 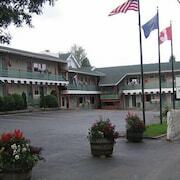 The hotel is central to all amenities, the staff are friendly. All in all, a great experience! I had hoped for more for the price. A good location, nice place, but it needs a little work/updating. Rooms are extremely clean and warm. All staff are courteous and helpful. Our tv wasn’t working, so we reported it to the front desk. The maintenance man came within 5 minutes and fixed it. 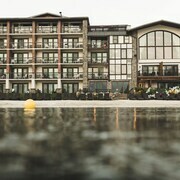 This hotel is very basic, but perfect for a no frills place to stay.